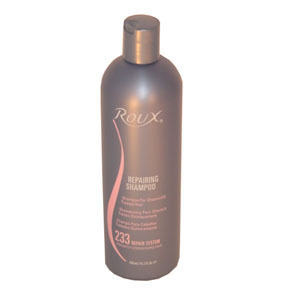 Roux® 233 Repairing Shampoo is specifically formulated to help repair hair damaged by chemical services or thermal styling. Specialized cleansers and moisturizers powered by plant proteins penetrate the hair to strengthen repair and nourish. * When used together Repairing Shampoo, Repairing Conditioner and Treatment & Shine increase hair strength by 51%. * 450 mL/15.2 fl. oz.